How to Add a Crematorium to Your Funeral Services? 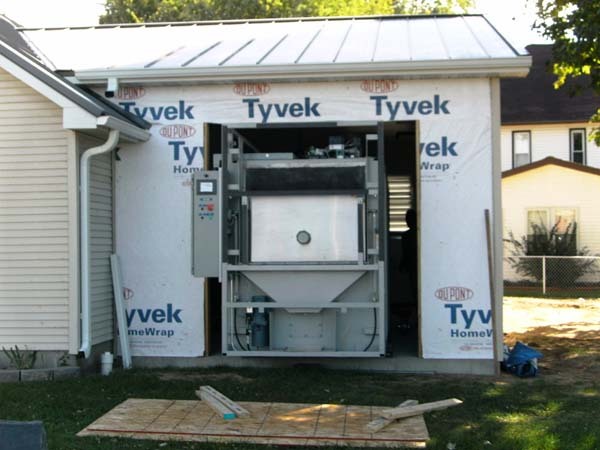 Are You in the Process of Adding a Crematorium to Your Services? The rise in popularity of cremation across the world has funeral directors considering adding a crematorium to their space. You may have already decided to invest in adding cremation services. The next step is to choose your cremation equipment. When it comes to your business, change that involves a great financial impact is not taken lightly. This puts a lot of pressure on choosing the right equipment to cater your company’s needs. What qualities make the best cremation equipment? Cremation Systems, a division of Armil CFS, has years of experience in custom manufacturing of high temp process equipment, furnaces, kilns and incineration equipment. With almost 50 years of furnace technology behind it, Cremation Systems’ CFS 2300 is the most fuel efficient, user friendly cremation chamber on the market today. Cremation Systems latest innovations – Tek Marshal, Fire Marshal and the Quick Change Hearth, available only in our CFS 2300 equipment, provides our customers with a unit that has the lowest operating cost in the industry. The unparalleled installation services and remote monitoring capabilities of Cremation Systems have raised the industry standard of cremation equipment.